Chippewa Valley Writer’s Guild Sound and Stories Series is back with Joy to the World at the Pablo Arts Center, Tuesday, Dec. 18 at 7pm. The sold-out show will feature a collaboration of sounds from The Ukulele Klub of Eau Claire and stories from Maddie Gray, Jim Alf, Kelly Jo Wright, Allyson Goldin Loomis and UW-Eau Claire Chancellor Jim Schmidt. A joyful evening of tales, songs and fellowship will commemorate all holidays of the winter season. “I hope this event promotes a sense of community,” said local writer and writer’s guild founder, B.J. Hollars. “Any chance to get together with old friends (and meet some new ones!) to celebrate art, is a worthy use of our time. 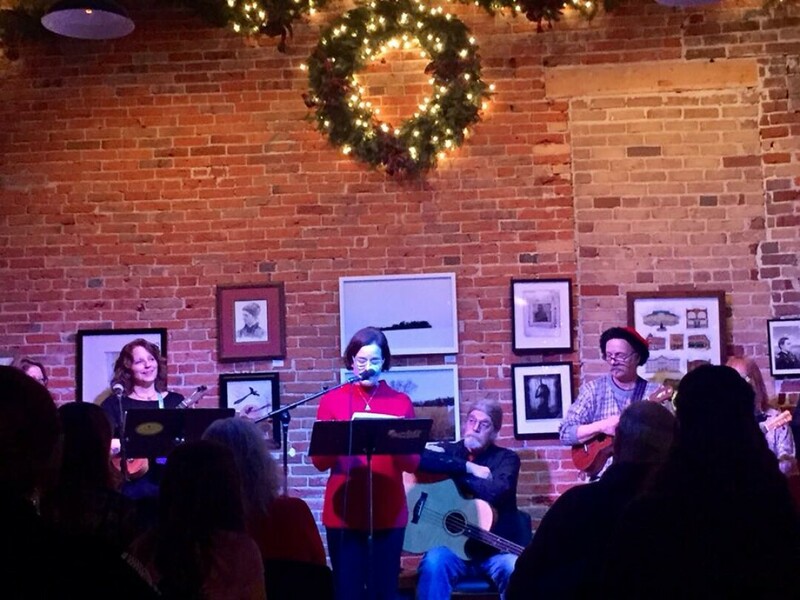 That we can spend this time together during the holiday season–in our brand-new arts center–makes it all the more valuable.” The Sound and Stories Series has been an ongoing collaboration of storytellers, writers and musicians who wish to share their talents with the Chippewa Valley community. Sound and Stories Series: Joy to the World is sponsored by the L.E. Phillips Memorial Library. Audience members will be offered the chance to spread the spirit of the holidays to low-income students with the Give A Kid A Book Program, so consider bringing a new, unwrapped book for babies, children and teens up to 18 years. Ugly holiday sweaters will be strongly supported.